JJ Lin is a popular Singaporean Mandopop singer, songwriter and actor. Prior to his debut he wrote songs for other artists such as A-Mei and Cyndi Wang. 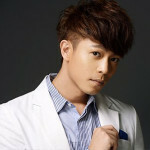 His big breakthrough came with his second album《第二天堂》,which included the smash hit 《江南》. 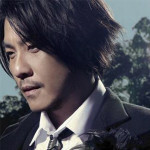 He then cemented his place with the release of his fourth album 《曹操》, which sold over 1 million copies throughout Asia. Do Cheng Yi, popularly known as A-Do (阿杜), is a singer from Singapore. Famed for his husky voice, he has been coined as the Rod Stewart of the Chinese music scene. 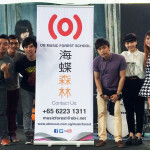 The ex-construction foreman was spotted by accomplished Singaporean producer Billy Koh in his company’s talent search. A-Do propelled to phenomenal fame across Asia with the release of his first album in 2002. Rynn Lim started off composing in 2001 for renowned artistes like 阿杜，陈小春，陶晶莹，张韶涵. He debuted as a singer in 2006 and got his first award “Best newcomer” at Hit awards. Joi was first discovered at the age of 17 through a local singing audition, she rose to success in 2004-2005, becoming one of Singapore’s best-selling artistes during this period. She was nominated as Best Female Vocalist for Taiwan’s Golden Melody Awards in 2008, and won Best Asia-Pacific Vocalist in China in 2009. Kym is an actress and singer from Mainland China. She made her debut after singing the duet song 《被风吹过的夏天》with JJ Lin and released 5 albums since then. Kit Chan was the pioneer generation of Singaporean singers to successfully break into the international market, marked in particular by her breakthrough into the competitive and highly critical Taiwanese market. 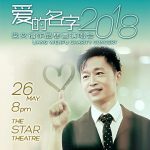 Unarguably one of the most established local singers, Kit Chan is often dubbed as Singapore’s “national treasure” for good reasons. Since her debut in 1993, she has proven herself in many diversified areas – singing, theatre, television drama, poetry, song writing, community work, etc.